Some people have 20/20 vision, and others require glasses or contacts to see correctly. If you are wearing glasses and contacts and you still are not able to see properly, you could have a disease that prevents you from having perfect vision. One common disease of the eye is cataracts. Your eye contains a natural lens. This lens refracts the light ray that comes into your eyes. This is what helps you to see clearly. Over time, protein deposits can build up on the lens of your eye. When this happens, cataracts occur. Age: Age is the most common cause of cataracts. After you turn 60, your risk of developing cataracts greatly increases. Diabetes: People with diabetes are at high risk of developing the condition. Exposure to toxic substances: If you are exposed to toxic substances regularly, you are at risk of developing cataracts. Exposure to radiation and ultraviolet light: Excessive exposure to radiation can put you at risk of developing cataracts. The same is true with excessive exposure to the UV light of the sun or artificial UV lights like tanning beds. Medications: Certain medications like diuretics and corticosteroids can increase your risk of developing cataracts. Injury: If you have suffered a traumatic injury to your eye, you are at risk. Sudden onset of nearsightedness. This often occurs in older people. Issues with glare during the day. Double vision in the eye that has the disease. Your eyeglasses or contacts are no longer helping you see correctly. If your eye doctor suspects that you have cataracts, they will perform an eye exam. During your exam, your pupils will be dilated so that the optometrist can get a good look at your lens and other parts of your eye. If your cataracts are mild or in the early stages, your eye doctor will give you a new eyeglass prescription to help you to see better. If your cataracts are severe and affecting your everyday life, you may need surgery. During the surgery, the eye doctor would remove your old, clouded lens and they would replace it with a clear, artificial lens. If your vision is cloudy and you suspect that you have cataracts, you should make an appointment with Epic Eye Vision Eye Centers in Kansas. 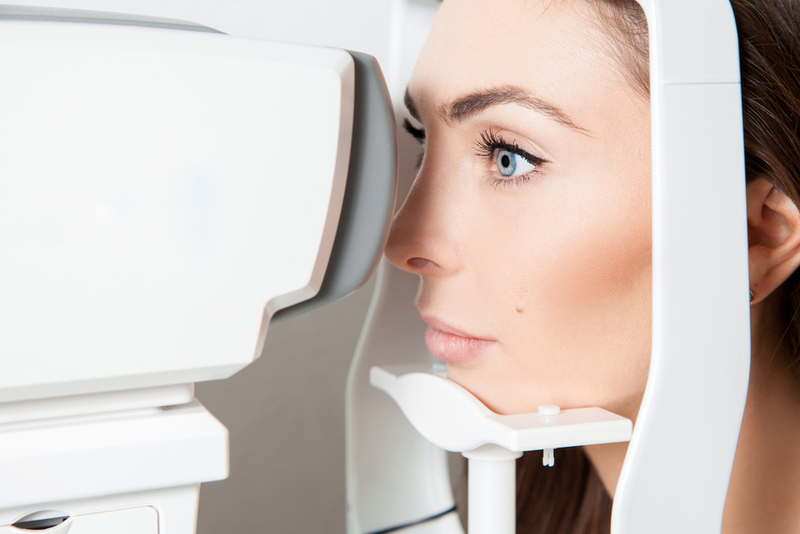 The doctors at our eye care optometry center will perform an exam to determine whether or not your blurry vision is caused by cataracts. We will then come up with a treatment plan to help you start seeing better.